Jeffrey Jacob Abrams, commonly known as J. J. Abrams, is a famous American film and television producer, director, screenwriter, as well as an actor. J. J. Abrams rose to prominence in 1998, when he co-created a popular drama series entitled “Felicity”, which is considered to be among the “Best School Shows of All Time”. After that, he contributed to the creation of “Lost”, starring Matthew Fox, Evangeline Lilly and Jorge Garcia, which proved to be an instantaneous success, with more than 16 million viewers per every episode. As a director, J. J. Abrams worked on “Star Trek into Darkness”, which grossed more than $467 million at the box office, making it the highest-grossing film in the “Star Trek” series. Aside from that, he directed “Mission: Impossible III” starring Tom Cruise and Philip Seymour Hoffman, “Super 8”, and is currently working on “Star Wars: The Force Awakens”, which is scheduled to be released in 2015. For his contributions to film and television industry, J. J. Abrams has been rewarded with Writers Guild of America Awards, Emmy Awards, and received nominations for PGA Awards, BAFTA Awards, and Academy of Science Fiction, Fantasy & Horror Films awards. A well-known director and producer, how rich is J. J. Abrams? According to sources, J. J. Abrams’ net worth is estimated to be $95 million, most of which he has accumulated through his involvement in the film and television industry. 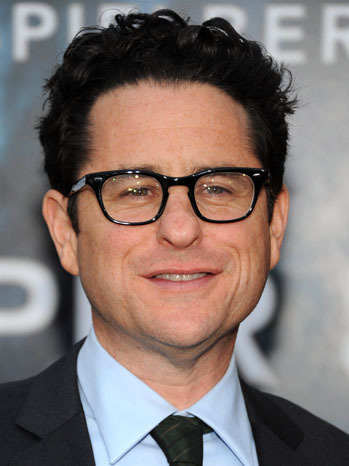 J. J. Abrams was born on June 27, 1966 in New York, United States, but he spent most of his childhood in Los Angeles. He studied at Palisades High School, and later enrolled at Sarah Lawrence College. Abrams grew up in a family of producers and screenwriters, which undoubtedly shaped his future career options. His interest in film-making started when he was a teenager, and it grew by the time he went to college. While he was at Sarah Lawrence College, Abrams co-wrote a film treatment, later acquired by “Touchstone Pictures” company, which was turned into a comedy film starring James Belushi, Loryn Locklin and Charles Grodin called “Taking Care of Business”. Following the success of his very first film, Abrams came out with a drama entitled “Regarding Henry”, in which the main characters were played by Harrison Ford and Annette Bening. In 1998, he wrote the screenplay for “Armageddon”, which was directed and co-produced by Michael Bay. A box office success worldwide, “Armageddon” significantly contributed to the overall popularity of its main stars. In the same year, J. J. Abrams made a television debut with “Felicity”, which granted him even more public exposure. He received his first award in 2005, for working on “Lost”, and since then has made a name for himself in the industry. Currently, Abrams is working on the release of an action spy film entitled “Mission: Impossible 5” with Tom Cruise and Jeremy Renner, and “Star Trek 3”, where he is serving as the producer. In regards to his personal life, J. J. Abrams is married to Katie McGrath, with whom he has three children. 1 Crashing vehicles on purpose: Vehicles are often deliberately crashed in his movies/television series: Oceanic Flight 815 plane crash on Lost (2004) caused by Jacob and indirectly by Desmond Hume; Dr. Thomas Woodward deliberately crashes his truck into an oncoming train to derail it in Super 8 (2011); George Kirk crashes the USS Kelvin into the Romulan vessel Narada to save the lives of his crew members, young James T. Kirk crashes his stepfather's Corvette on purpose, Spock crashes Spock Prime's ship Jellyfish into the Narada to cripple it in Star Trek (2009); Khan tries to deliberately crash the USS Vengeance into Starfleet Headquarters, fails to do so and levels Alcatraz and many buildings in future San Francisco in Star Trek Into Darkness (2013). 2 Often incorporates the number 47 into the story/plot. 3 Powerful use of spotlights and lens flares. 7 His work often includes plotlines in which pregnant women get kidnapped by mysterious people or groups who eventually turn out to be trying to help the woman and/or her pregnancy--for example, Alias (2001), Lost (2004), Fringe (2008). 8 Frequently casts Greg Grunberg and Amanda Foreman. 9 Usually includes a party scene early in the series/movie with young adults mixing and mingling. 12 [Cold opening] A suspenseful sequence prior to the opening credits used to pull the audience directly into the story (Mission: Impossible III (2006), Star Trek (2009)). 1 [on Harrison Ford getting injured during the filming of Star Wars VII] When I was on the set of the Millennium Falcon and we started to do work with Rey and Finn, the first time we did it, it didn't work at all," "It was much more contentious. I didn't direct it right. It was set up all wrong, and when Harrison Ford got injured - which was a very scary day - we ended up having a few weeks off, and it was during that time that I really got to look at what we had done and rewrite quite a bit of that relationship. So when we came back to work again, we actually just reshot from the ground up, those scenes. It was an amazingly helpful thing to get these two characters to where they needed to be. 2 There's nothing wrong with doing sequels, they're just easier to sell. 3 I think when you're 10 years old, it's too much to see something with the threat of death in every episode. Kids are better left naive about certain things. 4 Star Trek (1966) was always a little bit closed emotionally. I never connected to the characters. 5 One of my favourite things about Star Trek (1966) wasn't just the overt banter but the humour in that show about the relationships between the main characters and their reactions to the situations they would face; there was a lot of comedy in that show without ever breaking its reality. 6 I have no style. There are certain people who just have a visual sense that defines their work. You could probably watch 30 seconds of anything they do and you'll know exactly who directed it. I don't have that skill. 7 When I was a kid going into the movies, you weren't force-fed information everywhere you looked about what the movie was going to be. 8 What I'm still grappling with and learning how to do is to be looking and thinking cinematically, having come from television. 9 You know, we've got to this place, where you go to a movie for one particular surgical fix. So it's like, I want the pulse-pounding action, or the insane falling-off-my-seat comedy, or the devastating, heartbreaking drama. 10 When you go to commercial, you want something to call the viewers back, and if you don't have a decent act out, the audience probably won't be there in the numbers you want when the show returns. 11 My work isn't any more important than anything else in the family. 12 I mean, my dad's a television producer, and I knew I could get a job as an assistant or a reader with one of his friends, but it wasn't exactly what I wanted to do. 13 I was never really a comic-book fanatic. 14 I'm a fast writer. 15 We live in an age of instant knowledge. And there's almost a sense of entitlement to that. 16 I've never done Twitter. 17 I'd love to do a movie where the monster is human, where the issue is not otherworldly, or horror or science fiction. 18 With three kids you are just trying to survive. You can't be fastidious. 19 I feel like obviously the standard for what television looks like changes all the time. 20 I have nothing against 3-D in theory. But I've also never run to the movies because something's in 3-D.
21 I try to work on shows that I would want to watch. 22 I love recording music. 23 Obviously with the Internet and increased access to other means of watching shows, the audience has dispersed and is all over the place and that is a challenge. 24 Ratings have changed, viewer habits have changed and the options for the audience have grown enormously, but I don't think how you tell a story is fundamentally different. 25 I find that it's hard to fully examine one's life and not have faith be part of the discussion. 26 I'm literally open to any medium that will have me. 27 Making movies was more a reaction to not being chosen for sports. Other kids were out there playing at whatever; I was off making something blow up and filming it, or making a mould of my sister's head using alginating plaster. 28 Stories in which the destruction of society occurs are explorations of social fears and issues that filmmakers, novelists, playwrights, painters have been examining for a long time. 29 As a director/writer/producer, all you ever want is to work with actors who make you look better, who make the work you do seem as good as it can be and even better than it is. 30 I don't try and write strong female characters or strong male characters, I just try and write, hopefully, strong characters and sometimes they happen to be female. 31 The Internet now provides an immediate and very clear consensus of what it is that the audience is experiencing. It's something that you should never let lead you, and yet at the same time, you should never ignore it. 32 All the times I've been lucky enough to be a part of a show that's actually gotten on the air, it's always that same mixture of excitement and utter fear. 33 I love the idea of anthropomorphizing machines. I love the idea of taking technology and giving it a personality. 34 The ability of a television series to make adjustments is something you've got to take advantage of. 35 I believe in anything that will engage the audience and make the story more effective. 36 When there's an authentic mystery, as opposed to just a question being asked, that's what makes you lean forward. 37 I hope to make movies that are so small they don't need to make anything to be profitable. 38 It's a leap of faith doing any serialised storytelling. 39 When you work on something that combines both the spectacular and the relatable, the hyperreal and the real, it suddenly can become supernatural. The hypothetical and the theoretical can become literal. 40 I hate to look at the stuff I've written and consider what it means or why I do it. 41 I love working with the right actor, and if the right actor happens to be unknown, that should be allowed, too, I think. 42 When I was a little kid - and even still - I loved magic tricks. When I saw how movies got made - at least had a glimpse when I went on the Universal Studios tour with my grandfather, I remember feeling like this was another means by which I could do magic. 43 The goal is always to do B material in an A fashion. 44 I think that even if you're wondering if two characters are ever going to kiss, drawing out the inevitability is part of the fun. Whatever the genre happens to be. 45 Whenever I've directed something, there's this feeling of demand and focus that I like. 46 Pitching is always a weird, difficult thing. 47 When I was a kid, among the other embarrassing things I would do, and there's a list of stupid things, but I would make these dumb comedy tapes. I would often make prank phone calls, but I would also do it with friends. 48 I love movies with spectacle but spectacle can be a performance, it doesn't have to be a creature. 49 I'm not trying to be coy or manipulative or Machiavellian, I want to spark people's imaginations. 50 Whenever a toddler sees a pile of blocks, he wants to tear it down. 51 We're living at a time where if you do a Google search for a "show, review and network", you'll get the New York Times and Pete Billingsley from a town you've never heard of on the same results page. It's kind of democratizing the process so that everyone has access to a distribution system to express themselves. 52 You never want to have that ticking clock and know that you had all this time and didn't use it. 53 I've had the same friends since I was in kindergarten. 54 My mother is the coolest, most amazing person I know. 55 Robotics are beginning to cross that line from absolutely primitive motion to motion that resembles animal or human behaviour. 56 What's a bigger mystery box than a movie theatre? You go to the theatre, you're just so excited to see anything - the moment the lights go down is often the best part. 57 All I know is that I've made some big screw-ups, and I've done some things that have done all right. I just keep trying to learn from the mistakes I've made. 58 You can never guess or assume what anyone is going to think. 59 I try to push ideas away, and the ones that will not leave me alone are the ones that ultimately end up happening. 60 I think you have a passion and an obsession for something when it's not necessarily ubiquitous. 61 To me the interesting main character is never the one without flaws. 62 I don't think I have a signature. 64 I actually had to use Industrial Light & Magic to remove lens flare in a couple of shots, which is, I know, moronic. But I think admitting you're an addict is the first step towards recovery. 65 Looking back on my childhood, I have a list of things that are massively important to me. Without question, Star Wars was on the list, and Star Trek was not. 66 [on producing both Star Trek (2009) and Star Wars: The Force Awakens (2015)] There is no meta strategy to this, no Machiavellian plan. It was simply two opportunities to get involved in two disparate film series that are bigger than all of us. I don't feel any kind of Coke vs. Pepsi thing about it. It seems there is enough bandwidth for both of these very different stories to coexist. I feel incredibly lucky to be involved in either of them. 67 [on Star Trek Into Darkness (2013)] The thing that the great genre filmmaking has always done is taken issues of now and told them through allegory and made them palatable for larger audiences. But, you know, there are themes in the movie that were important to us: the idea of questioning authority, the idea that when the task you're given is morally questionable, what do you do? When protecting others, especially family, means making the ultimate sacrifice, what do you do? When you feel that desperate need for revenge and blood lust, what do you do? 68 When I was a kid and saw Star Wars: Episode IV - A New Hope (1977) for the first time, it blew my mind and around the same time, I had friends who were huge fans of Star Trek and I don't know if I was smart enough to get it, or patient enough. What I loved about Star Wars was the visceral energy of it, the clarity of it, the kind of innocence and big heart of it. Star Trek always felt a little bit more sophisticated and philosophical, debating moral dilemmas and things that were theoretically interesting, but for some reason I couldn't get on board. It really took working with all these guys and actually working on Star Trek for me to fall in love with that. 69 [on missing writing Felicity (1998)] I miss writing for a show that doesn't have any sort of odd, almost sci-fi bend to it. It was just sort of pure romantic, sweet characters who had crushes on one another and were dealing with which party to go to and if they had a part-time job or not--stuff that was kind of fun to write about. 70 There's something about looking at Super 8 films that is so evocative. You could argue it's the resolution of the film somehow because they aren't crystal clear and perfect, so there is a kind of gauzy layer between you and what you see. You could argue it's the silence of them. You could say it's the sound of the projector that creates a moodiness. But there's something about looking at analog movies that's infinitely more powerful than digital. 71 I've always liked working on stories that combine people who are relatable with something insane. The most exciting thing for me is crossing that bridge between something we know is real and something that is extraordinary. The thing for me has always been how you cross that bridge. 72 I'm an impatient guy and tend not to like to stay with one thing for a long time. I'll never be able to write as many scripts as I did for Felicity (1998) or Alias (2001) ever again. I'm just too impatient these days. I want to get on to the next project. 73 Directing's the best part. Whenever I've directed something, there's this feeling of demand and focus that I like. And secondly, it means that you've gotten through all the writing stuff, and the producing stuff, and casting, and prep, and all those stages that are seemingly endless. So directing is sort of the reward for all the work you put in before. And then there's the editing, which is another amazing stage of the process. It's incredible the moments you can create. 74 I feel like in telling stories, there are the things the audience thinks are important, and then there are the things that are actually important. 75 Star Wars: Episode IV - A New Hope (1977) is probably the most influential film of my generation. It's the personification of good and evil and the way it opened up the world to space adventure, the way westerns had to our parents' generations, left an indelible imprint. So, in a way, everything that any of us does is somehow directly or indirectly affected by the experience of seeing those first three films. 1 Has cited Steven Spielberg has his hero. 2 The action scenes in his movies often focus on debris flying violently through the air or space (e.g. the opening scene of Lost (2004); the scenes in Star Trek (2009) and Star Trek Into Darkness (2013) where starships are under heavy attack; and the train accident and finale of Super 8 (2011)). 3 Frequently uses the name Kelvin in his movies, which was the name of his grandfather. Examples: the character Kelvin Inman from Lost (2004); the postcard addressed to H. Kelvin from Mission: Impossible III (2006); the USS Kelvin from Star Trek (2009) and Star Trek Into Darkness (2013), Kelvin Gasoline from Super 8 (2011) and a location named "Kelvin Ridge" from Star Wars: The Force Awakens (2015). 4 Has had the visual effects studio Industrial Light & Magic fix his overuse of lens flares, by removing them in post-production. 5 Is the first director to have directed both a Star Trek film and a Star Wars film. 6 Is an avid fan of Downton Abbey (2010) and has visited the set in Ealing Studios. 7 Is a huge fan of The Twilight Zone (1959), with his favorite episode being The Twilight Zone: Walking Distance (1959). 8 In 2011, during an interview on the NPR program "Fresh Air with Terry Gross", writer/director Abrams told a story about getting to attend a very early rough-cut screening of Escape from New York (1981) with his father, producer Gerald W. Abrams (who knew that his then-15-year-old son was a huge fan of John Carpenter). Abrams told Gross that during the discussion afterward, Gerald suggested cutting an opening sequence in which Snake tries to rob a bank and is caught, on the principle that Snake seems like a more imposing, mythic, tougher character if you don't see him defeated right away. Young J.J. suggested making it clearer that Adrienne Barbeau's character Maggie dies at the end. Both suggestions were followed in the final cut: the opening scene was deleted, and a shot was added showing Maggie's body. 9 Lives in Pacific Palisades, California. 10 Best friends with Greg Grunberg. They have known each other since they were children and he frequently casts Grunberg in his films and television series. 11 Is a fan of Howard Stern, who is also a fan of of Abrams' work (particularly Lost (2004) and Star Trek (2009)) and personally called Artie Lange through his agent to congratulate him on his being hired to replace Jackie Martling ("The Joke Man") as a sidekick in 2002. Also gave Stern's daughters a tour of the set of Felicity (1998). 12 He has been involved with several projects that advance the social theory called the "Milgram Small World Phenomenon", named after social psychologist Stanley Milgram, who conducted acquaintance path experiments. John Guare's play "Six Degrees of Separation" (and its film adaptation Six Degrees of Separation (1993)) is in large part responsible for introducing to popular culture at large the notion that everyone in the world is separated by only six other people (Abrams had a small acting role in the film version). Abrams went on to produce Six Degrees (2006), a television series with a premise predicated on this theory, and Lost (2004), a television series in which seemingly unconnected and disparate characters often end up having hidden or unknown links to each other. 13 In 2007, Forbes magazine estimated his earnings for the year at $17 million. 14 Ranked #29 on Entertainment Weekly magazine's The 50 Smartest People in Hollywood (2007). 15 Is one of 115 people invited to join the Academy of Motion Picture Arts and Sciences (AMPAS) in 2007. 16 Sold his script for Forever Young (1992) for $2 million. 17 He had discussed wanting to be more involved in the third season of Lost (2004) (intermittently with his film schedule) because he had not been directly involved in the series since the sixth episode of the first season. 18 His debut film Mission: Impossible III (2006) was the most expensive film ever made by a first-time director until Tron: Legacy (2010), directed by Joseph Kosinski, which cost nearly $20 million more than MI3. 19 Has three children with wife Katie McGrath: Henry (born 1998), Gracie (born 1999) and August (born January 11, 2006). 20 Named one of Fade In magazine's "100 People in Hollywood You Need to Know" (2005). 21 While he was writing scripts in college, he used the Alvin Sargent screenplay to Ordinary People (1980) as a guide. 22 He says he got the job directing Mission: Impossible III (2006) after Tom Cruise watched early episodes of Alias (2001) on DVD and loved them. The two started hanging out together and Cruise offered him the job. 23 Gave Alias (2001) star Jennifer Garner a pink bicycle for her birthday. She would often greet the production crew by ringing the bells on the bike's handlebars. 24 Attended and graduated from Sarah Lawrence College in Yonkers, New York (1988). 25 Son of Gerald W. Abrams. Star Wars: The Force Awakens 2015 writer: "Jabba Flow", "Dobra Doompa"
Star Trek Into Darkness 2013 writer: "The Growl"
Lost - Epilogue: The New Man in Charge 2010 TV Movie writer: "Main Title"
Mission: Impossible III 2006 performer: "Song 5000", "Groksploitation" / writer: "Song 5000", "Groksploitation"
Alias 2001 TV Series Man on the phone saying "Joey's Pizza"
Future Shock 1994 segment "Mr. Petrified Forrest"